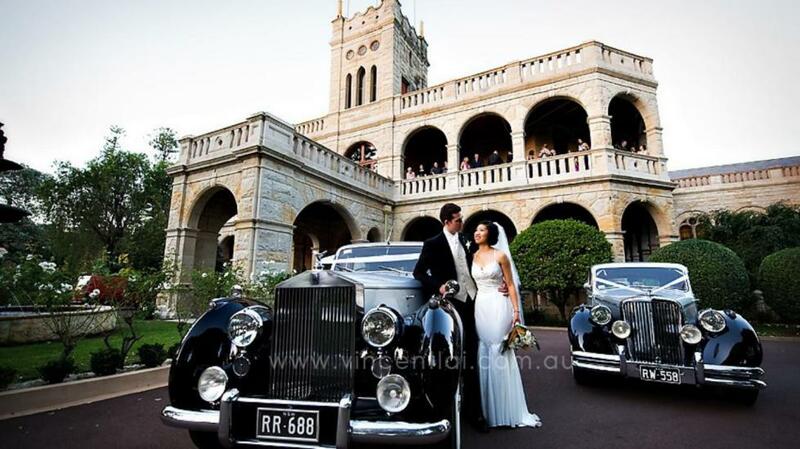 Wedding car hire service Testimonials. 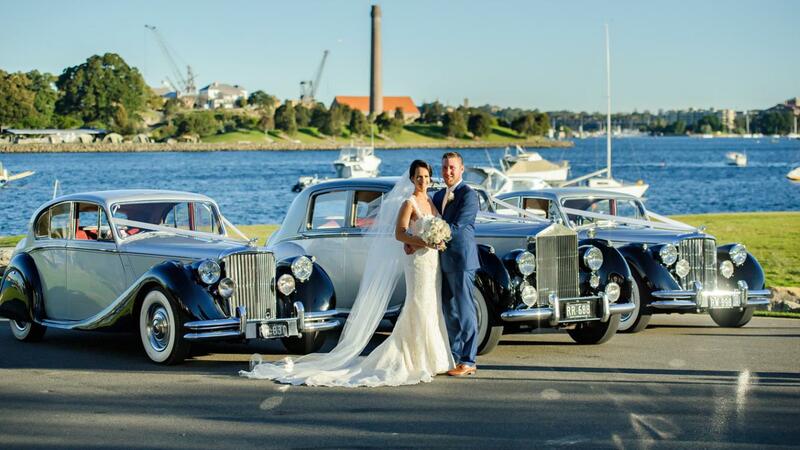 We would just like to express our deepest appreciation for your amazing service and gorgeous cars on our wedding day. Royalty Weddings are very experienced in what they do and we will most certainly recommend your company to whoever is getting married next! 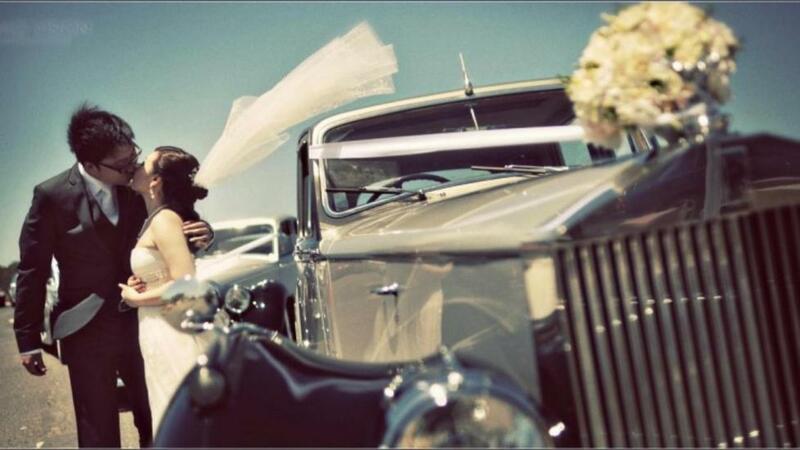 .. for your presence on the day and the perfect presentation of all the wedding cars and also to your 2 other drivers. Your part in Emma and Coreys special day was a significant in making this wedding something really special. Yes, it was a fun day, full of goodwill, love and happiness and a big part of this was the way it all started out with you, your drivers and your glorious cars. We will recommend your service to whoever will listen from now on. Can only say, THANKS MATE! It was great. I hope this email finds you well.. So sorry for the delay in sending this but Rene & I wanted to thank you for the immaculate wedding cars and drivers you provided for our wedding on the 1st sep! Our driver sal was absoultly outstanding! I had a bit of an issue and he was very helpful and assisted where possible! I will have no problems reccommending you to all our friends and family. Just wanted to let you know that the cars for Marks wedding looked great, the jaguar convertible in particular was the envy of all given the fine weather and being able to have the top down. The 2 drivers, unfrotunately I do not know their names as I did not have much to do with them, were professional and friendly and from all reports were a delight to work with. Thanks for helping to make the day a success, I would have no problems in recommending you to potential customers. I would just like to say how impressed Bridie and I were with the Wedding cars, and also the service we received. The Wedding cars were even better in the daylight than when we saw them back in March, everyone commented on how amazing they were. The bridesmaids and groomsmen were also very impressed with how smooth the whole event was. If there is anything we can do to promote Royalty Weddings, please let us know. I know its been a while, but we thought it was important to thank you! Our wedding was on the 14th April 2012 (Vietnamese wedding). We had an absolute blast that day and wanted to let you know that you and the boys helped made our special day a perfect one. We will always remember how professional, helpful, humourous and patient you and your team were on that day. I will recommend you to anyone who is looking for MK5 Jaguars for their wedding. You guys did a fantastic job and deserve the recognition.! 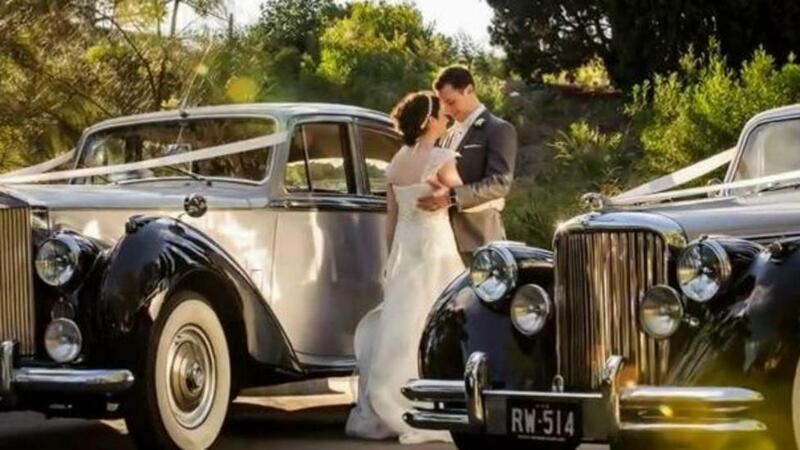 We were so pleased that we used Royalty Wedding Cars at our wedding last weekend, that I wanted to write and thank you, and tell you how much the vintage cars added to the photographs, and fitted in with the backdrop of the old stone church, to make a perfect picture. I was worried about the open car, and August winds, but I now can not imagine using anything else for our bride and groom. The drivers were on time, unfailingly polite, and did much more than just drive, helping our bride with her dress and veil, into the church. When all hands count, they were there. Thank you very much for your part in our day. Nichole and I would really like to thank you and your staff for your professionalism and friendly service. The cars are absolutely amazing and you should be proud about keeping them in such great condition. Everyone was lovely and made us feel really comfortable. Sorry we didn't have time to enjoy more champagne and crackers as the photographers were a bit full on. Never the less, it turned out to be a perfect day. I will be sure to refer you to anyone that requires wedding cars in the future. We want to thank you so much for helping make our wedding day the best day of our lives. It wasn't just the fact the cars were so immaculately presented, but your organisation, professionalism, and the great personality of yourself and the your drivers which made it such an enjoyable experience. The walkie talkies were awesome too! We will be sure to highly recommend you to anyone in need of a service like yours, and once again a big thank you for all you did. Sean and I would love to send you our biggest thank you for all your help and professional service on our wedding day. It was a pleasure to have you be a part of it. how are you? I hope you are well. I just wanted to touch base with you to say thank you so much for the wonderful service you and your drivers provided to Dave, myself and our wedding party. Your professionalism and friendliness on the day made us feel so comfortable and at ease. I will definately be recommending your services in the future. I've attached some photos from the photographer of your cars, they look amazing! I wish you and your business all the very best for the future. Hope all is well! My wife and I would like to thank you and your magnificent staff on our wedding day (22/4/2012). We couldn't have asked for more professional staff and excellent service than we received from Royalty Weddings and I highly recommended your business! We have to say the highlights of the day was getting into the cars between events. I just wanted to email to say thanks so much for last night. The cars were fantastic and you and the other drivers were so friendly and went out of your way to make the day special for us. We would just like to thank you again for making our wedding so enjoyable. The cars - superb, the drivers Sal, Sam and Louis, amazing. Both Mesut and I are so grateful and really had so much fun , as did our bridal party who are still raving about it all. Your drivers went beyond expectation and were so helpful with everything. Thank you again and we hope that other future brides and grooms get to enjoy the same experiences that we did. We will be sure to send you a photo once we get them from the photographer. Just wanted to thank you and your drivers for a fantastic day! We had the two Sam's driving us around and they were great. They had to be the best suppliers of the day. Both drivers were experienced, funny, helpful and really made our day. Beautiful cars and a great service! Shirley & I would just like to thank you for adding such a nice touch to our wedding day. As we knew all along the cars were spectacular and yourself and the other two drivers were great. Both the girls and boys said their driver was a ball to be with and you yourself made our day so much easier and one less thing to worry about. So thanks again for being part of our day and we will be sure to email some photos through of the cars once we get them back from the photographers. I just wanted to say thanks again for all your help and beautiful cars on Saturday and especially getting us everywhere on time! Please say thank you to all your staff as everyone in the bridal party said they were all very friendly! You and your team made the transportation on the day run very smoothly! We just want to take the time out to say a massive thank you for your beautiful wedding cars and amazing service and kindness. We loved the cars and how wonderful and helpful you both were to us all on the day. The crackers and cheese saved our lives as by that point we were so starving. Words can't describe how happy we were with you both and we wish you a wonderful new years and good fortune to you. Attached is a couple of pics for you. Thank you kindly again for everything, you truly played a special role in our special day and we thank you for sharing it with us. 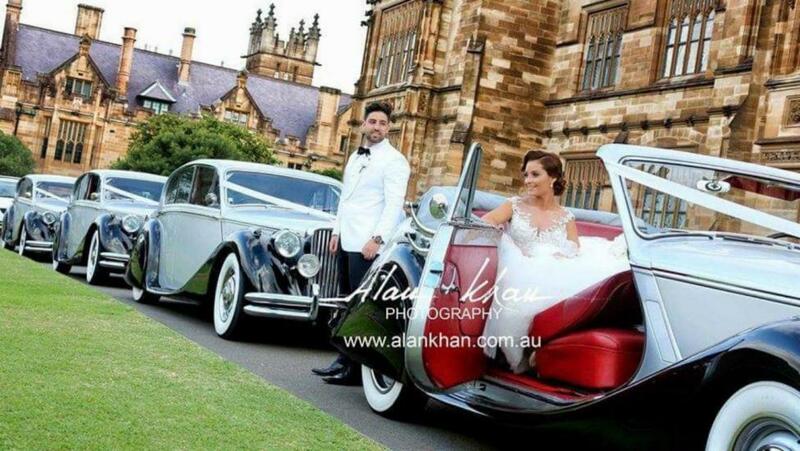 Thank you so much for your beautiful cars and fantastic service on our Wedding day. Sorry it's been a couple of months but Mike and I wanted to say a huge thank you for everything you did for making our wedding and journey on the day so special. The cars and your service was amazing. I would like to send a thank you but can't remember your address. If you could please send it that would be great. We had a fantastic day and appreciate all your efforts. You were great to work with and will be highly recommended. Just wanted to say thank you for helping make our wedding day such a special occasion. The cars looked fantastic and the wedding car drivers were ultra professional! We couldn't be happier with your service and will be recommending you to all our friends who are getting married in the future. All the best! We just wanted to say thank you for making our wedding day so beautiful and wonderful. From the beginning we wanted a classic car with elegance, fun and character. The immaculate Silver Dawn Rolls Royce did just that to our special day. Thank you Danny, for being personable and supportive from the beginning. 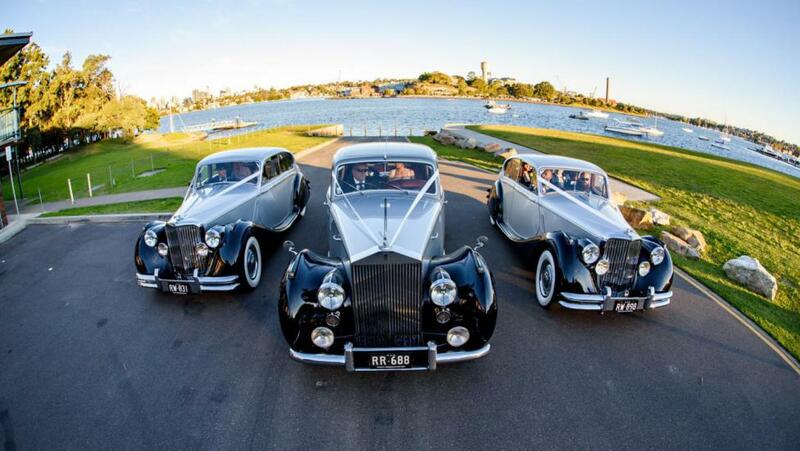 We would certainly recommend Royalty Wedding cars to our friends. We will forward the pictures as soon as we receive it from the photographer. Hope that you are well. Lucy and I just wanted to send a note to say a big thanks to you and the guys for all your help on the wedding day. We really appreciated everything you did to help ensure the day went smoothly. You were the upmost professionals and kept the day fun and stress free - even when some of the bridesmaids had go back to collect the belt that had been left behind! Our bridal party commented on how much they enjoyed their time in the cars - so thank you for making our day special. We wouldn't hesitate to recommend you to any other couples. Once we get the photo's back from the photographer, we will send through any good ones which highlight the cars. Again we just wanted to say we really appreciate everything you did for us. I just wanted to thank you and your team for being so great on our wedding day. Sam was a great help and went beyond my expectations. The cars where amazing and the service was even better. Sabrina and I just wanted to say thank you so much for everything. You guys really made our wedding day so special and we are so thankful for everything, we definitely made the right choice in choosing you guys and do not regret a minute of it. I wanted to pass on my thanks following our wedding two weeks back. The Rolls Royce was wonderful and the driver (Tony) was fantastic as well. I would happily recommend the company to others to use in the future. I hope you are well. I just wanted to say thank-you very very much for all your help leading up to my wedding day, the cars were really gorgeous, I loved them and so many people commented on them!! You were so helpful on the day, and I appreciate everything, incl. making sure the bow on my dress was tied before walking down the isle! We had a fantastic day, and wonderful honeymoon. I have attached some photos for you and wanted you to know that I will recommend your name in the future. Take Care, and all the best with your cars and future in the business! I just wanted to send you an email to say a big Thank you to you and your Drivers. 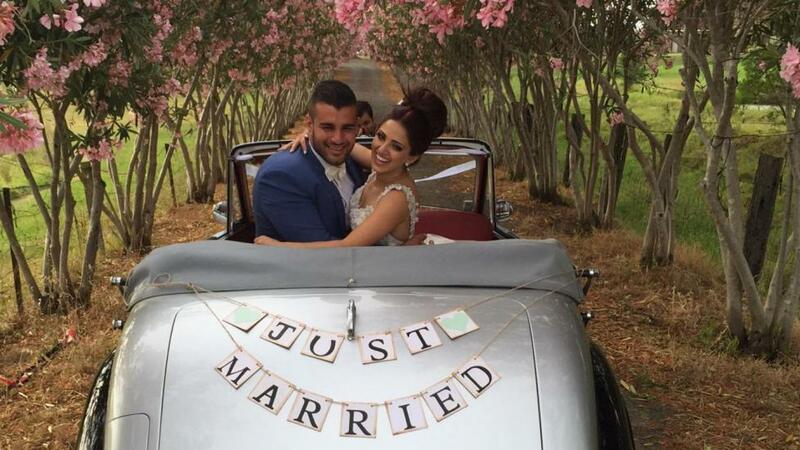 We had your fantastic Jaguars for our wedding and could not be happier with the service and presentation of your cars and drivers. The guys were so much fun and kept our little ones in the bridal party entertained and me under control. Big Thank you for that!! I have attached just some of the pics that we have been given so far with your cars in them, really cannot thank you enough, we will be recommending you to everybody. Please send our thanks to your drivers, they really helped make the day perfect!! Sam did a great job at our wedding on Saturday. We was extremely professional and nothing was a problem for him. I appreciated the effort he took to help me getting in and out of the car, and in grabbing us umbrellas when the rain started to fall! Not to mention the lovely champagne we received after the ceremony. Thanks again. We will definitely recommend your cars. Hope you are well. Marisa and I returned from our honeymoon on the weekend feeling very relaxed. We would like to pass on our gratitude to you and both your drivers for your service leading up to and at our wedding. The vehicles were immaculate and stunning, with both drivers polite, professional, courteous and punctual. There was a bit of traffic chaos to contend with and some difficulties in the tunnel causing delays on other roads that could have caused us all unwanted stress but your drivers made it feel like there was nothing to worry about and got us all there calmly. We couldn't have asked for a better journey. The extra touches of icebuckets for the champagne during photographs was appreciated too. I'll certainly recommend you to family, friends and colleagues as a wedding supplier of choice. We'll flick over some piccies as we get them through if you would like. You all played an important role in making our wedding day magical. The cars looked amazing and were all that I dreamed they would be. Your terrific, talented, handsome, caring, helpful, professional and at times comedic drivers are a true assets to you and you company. I can not begin to tell you how appreciative both Blake and I are for all they did throughout the day and evening. Rain or shine, nothing was a trouble or a hassle for your boys!! They were ready for whatever came there way... even a singing bridal party! Whenever needed they had umbrella's in hands, champagne and nibbles... even towels. All of which was done with smiles on their faces and a happy, friendly and professional manner.They went above and beyond and could not have made me or my bridal party any more relaxed or comfortable. As we approached the chapel, we laughed, sang and told the occasional joke! This then continued after the cermony when my husband (hehe) and the other boys joined us.... although they didn't seem to be in the mood for singing :) With the assistance once again of your amazing drivers the girls were able to keep the entertainment coming.because of your wonderful drivers, my bridal party and I now all have a few more memorable moments to add to the collection. If you ever need me to refer you and your drivers I would be more than happy to assist.. just point me in the right direction. Thank you, Thank you.... Thank you!! Our day would not have been the same without Royalty Weddings! Just wanted to say thank you for being a part of our special day back in April, and especially to our driver. The Rolls Royce definately brought a touch of class to our day and matched the look and feel of what we were aiming to acheive. I just wanted to say a massive thank you for such a wonderful job you did at my wedding. The day was perfect and you helped me so much throughout the whole day. I appreciate everything you did to make my day that little bit more easier and comfortable. I will be highly recommending you to all my friends. Just got back from holidays and would just like to thank you on behalf of Belinda and me for the service you provided with your beautiful cars. Give a special thanks to your drivers for their professional service. They made our day enjoyable and relaxing. Hopefully you will get some more business from my friends and families that enjoyed your cars as well. Scott and I would like to thank you for the wonderful job you did on our wedding day. The 3 MK5 Jags were as beautiful and comfortable as promised and all 3 drivers did an exceptional job. We were very impressed by your service, punctuality and friendliness on the day. You truly heped make our day perfect. 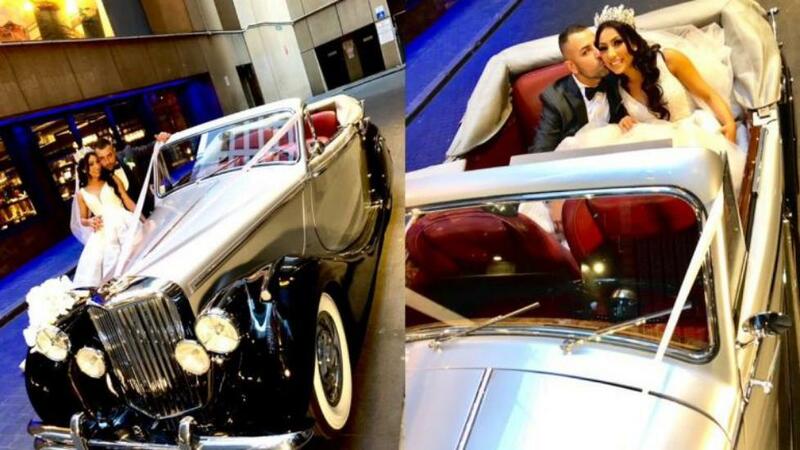 We would not hesitate to recommend you to anyone looking for classic, gorgeous wedding cars at an affordable price and with exceptional service. Thank you!!!!! We had the best day ever! Thank you for making our wedding day as beautiful as possible. Not only were the cars beautiful but your service was 2nd to none. Just perfect. I'm thrilled to have had you drive me/us on our wedding day. Thank you so much for the wonderful cars! Everyone was so impressed with how they looked and the drivers made our day all that more special. I thank you again for being a part of our wedding. We couldn't have been happier, Danny you did a great job! I hope you've been well. I just wanted to drop you a quick email to say Thank you so much for being a part of our wedding day. Troy and I were both so happy with the cars and the service you offered. As you can see the cars have come out really well in our professional photo's. I'm sure Johnny and Michelle will be really happy on their wedding day.